If you’ve ever looked for a job in a creative field, you’ve likely seen those job ads. You know the ones that ask for your resume and your portfolio? As if a resume weren’t bad enough, right? Throw a portfolio into the mix and it’s enough to send creative types running for the hills. Organization! Structure! The horror! Despite a seeming reluctance to adopt a portfolio structure for your website, it’s the established method of presenting your best work to potential clients. There’s just no getting around it. Basically, if you want to get a gig (or at least dramatically improve your odds of getting a gig) you need to put some time and effort into how you present yourself online. Namely, you need to think about your portfolio. Oh, I don’t know. Maybe everybody? Okay, enough with my sass. The truth of the matter is anyone who creates things for a living can make use of a portfolio. I’m talking web designers and developers, here. Writers and artists. Architects and engineers. Musicians and dancers. Anyone, anywhere who makes things for a living needs to have a digital space to represent their work. How else do you expect to attract attention for what you do? How else can you keep your work organized, current, and ready for display? One of the most important things you can do before setting out to create a portfolio in WordPress is to figure out why you want one in the first place. That is, what do you want to accomplish with it? Rest assured, it’s totally okay (and normal) if you decide to try to accomplish more than one of these goals with your portfolio. It showcases your work. This should probably go without saying, but the best portfolio websites out there actively show off your work in such a way that builds interest in you and your services. You’d be surprised by how many portfolios actually fail to complete this step. Not because people forget to upload work examples, mind you. Rather, this happens because the portfolio owner chooses a layout, navigation method, or other detail that distracts from the work to be viewed. Your work should do all the talking—the website is just there as a frame for it. It’s focused. There’s no need to include every single piece of work you’ve ever completed in your portfolio. Unless you’re just starting out, you can and should be selective in what you include in this space. It’s supposed to be the best representation of you and your work, so make sure every piece you include serves a purpose and carries its own weight. It’s targeted. This goes right along with being “focused,” I know but I’m referring more to targeting your intended audience here rather than just keeping your portfolio contents streamlined. 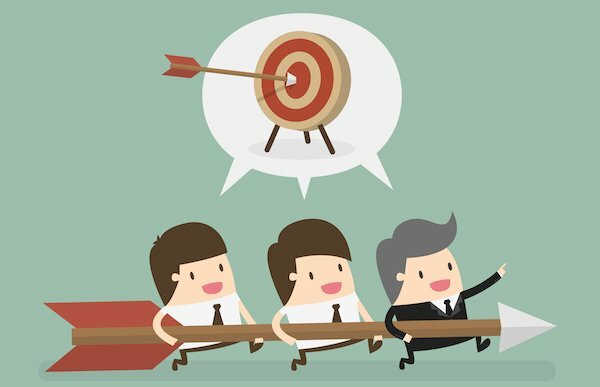 Knowing the goal you want to accomplish with your portfolio can be helpful here as well. For instance, if you’re looking to use your portfolio to get a job designing medical websites, then your samples should obviously reflect this niche. Straightforward navigation. Another key component the best portfolios out there share is intuitive and easy-to-use navigation. Whatever you do, do not make potential clients work to find what they’re looking for on your site. Use standard navigation and menus here. Now is not the time to get artsy. As tempting as it may be to use the portfolio itself as an example of your artistic flair, it’s much better to use it as a frame from within to showcase your best pieces. Just like you would in an art gallery! Request a quote. The best portfolios include some kind of contact information on them. How else do you expect to land a new client? If somebody has to poke around your site for a long time to find an email address or contact form, you’re not doing yourself any favors, let’s be honest here. Create a dedicated contact page that displays all of your relevant details, including your social media links. A contact form where people can leave details about their project needs might also be relevant, depending on your specific industry. The details of your portfolio might vary a bit but these qualities are typically pretty standard. Now, let’s move on to discussing how you can actually build an awesome portfolio website using WordPress. The Awesome Filterable Portfolio plugin certainly lives up to its name. It works by letting you create a portfolio or gallery that can be filtered based on criteria you set. It uses image hover effects and animations to create an attractive interface. Set as many categories as you want and include as many items as you want. It’s simple, straightforward, and definitely awesome. The aptly named Portfolio plugin is another option for putting your work on display. 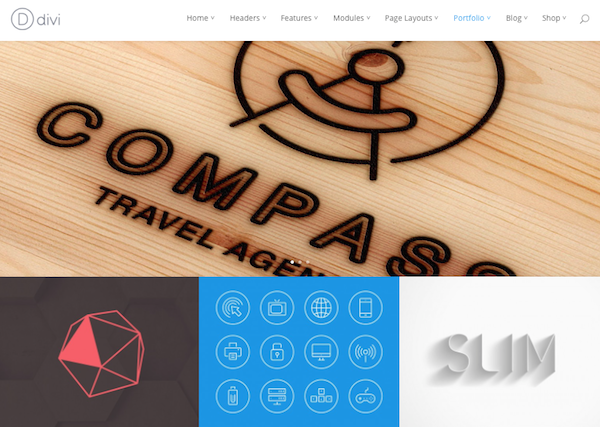 Once installed, you can create a dedicated page for your portfolio. You can include project details along with each item as well like a short and long description, URL, screenshots, and a date of completion. You can also change image sizes and the number of images displayed in each row as well as enable or disable the display of additional fields. So some of these plugins aren’t getting brownie points for name creativity here but that doesn’t mean they’re not feature-rich. The WordPress Portfolio Plugin is highly useful, letting you automatically populate a portfolio page using thumbnails. Just insert the short code [wp-portfolio] wherever you’d like it to appear and voila! This is a perfect solution for web designers, as it can create thumbnails of the websites you’ve worked on automatically. Full customization through HTML and CSS is available as is the ability to use a custom image rather than the thumbnail. The Nimble Portfolio plugin is highly versatile and can be used to display your images, videos, and other media for gallery or portfolio purposes. It can easily be customized to display photography, logos, screenshots, videos, or anything else related to your work. It includes jQuery sort filters for easy grouping and categorization. It also comes with the PrettyPhoto lightbox, is responsive, and establishes a custom post type for your portfolio items. PDF preview is available. It also comes with three different styles of thumbnail for better integration with your existing theme. The Waving Portfolio plugin creates a simple interface that still manages to be quite aesthetically pleasing. Once installed, you can quickly set it up to display your best work over the long term in a portfolio grid. To do this, just navigate to the Portfolio menu in the dashboard and add some posts, each with a featured image. Once you set up your portfolio page, these posts will be pulled into the grid and displayed in an attractive manner. Create a portfolio with just one click. Auto Grid Responsive Gallery is a premium plugin that works by scanning an image folder in your WordPress installation and uses any subfolders contained within to define categories for your portfolio. A responsive, grid style gallery is then created automatically based on this information. The only setup requires putting the images you want to appear in the portfolio in the designated folder. Then, just use the shortcode [autoGrid] to display your portfolio in any post or page. This plugin will cost you $16 but its flexibility might be worth the price tag to you. The last plugin I’m featuring here is called Go – Responsive Portfolio for WP and it really lives up to its $22 price tag. It’s simply loaded with features. For starters, you can use custom post types to create new portfolio entries or use existing blog posts (or even product pages) to populate it. You can insert it on other pages and posts to display post teasers, product showcases, and more. And it works with WooCommerce, too. Sometimes the task of building a portfolio on your WordPress site is daunting because you already have one on a portfolio community site. And if you’ve built up a good following there, it can feel like all of that hard work you put into the community-building aspect will go to waste. Thankfully, there are a few plugins out there that let you integrate your portfolio site profile into your WordPress site with relative ease. Not all of these will allow you to create dedicated portfolio pages but they do at least give you the opportunity to make a connection to the community site profile. If you already have a portfolio built on Behance, then you might just want to import it directly into your WordPress site instead of dealing with two separate entities all the time. That’s where Behance Portfolio for WordPress comes in handy. This plugin is easy to set up and only costs $15. Have a presence on deviantART already established? Then you might be able to make use of the deviantART Widget. It’ll set you back $9 but with it you can insert your latest gallery or favorites in a widget on your site. This won’t make for the most robust portfolio, of course, but it is a good way to at least integrate your deviantART presence onto your WordPress site without having to manually bring the content over. The Awesome Flickr Gallery plugin makes it simple to add any portfolio you’ve established on Flickr onto your WordPress site. 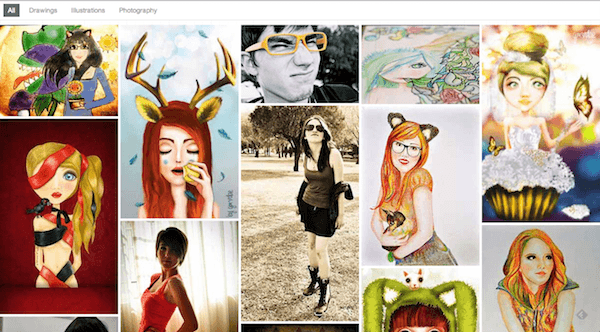 You can use photos from your Flickr Photostream, Gallery, Group, or Photoset. You can even build a gallery based off of tags. Crop images, set image sizes, and use custom CSS if you want. Not too shabby for a free plugin, I’ve got to say. 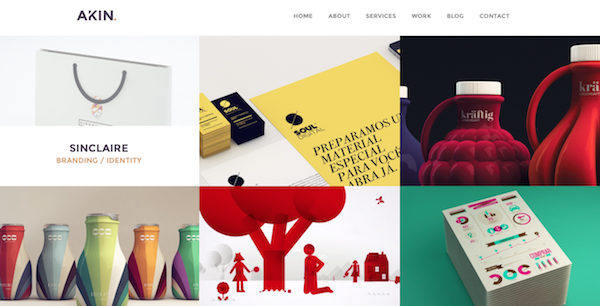 A quick way to get a portfolio set up is to just use a theme dedicated to its creation. 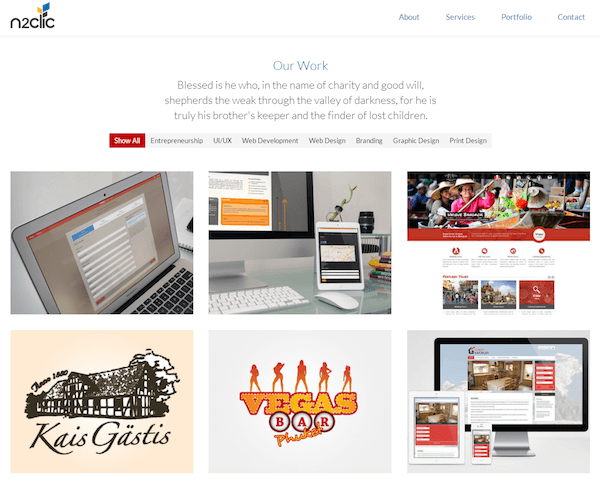 Portfolio themes come in a wide variety of styles. Some are free and some are premium. I highly suggest you look through several options before making a decision, especially if you plan on shelling out cash. A theme purchase is an investment. Make it a good one! Folio Black by Authentic Themes is truly stunning. And the best part of it is how simple the presentation is. No fancy stuff here at all. Just straightforward design that serves to lift up the pieces to be featured in the portfolio. That’s it. Features include a gallery slider, various shortcodes, robust theme options, and the ability to set the whole thing to full-width. Our very own Divi theme is designed to serve a variety of functions, one of which is to act as a portfolio. Using the Divi Builder, you can create any kind of site you want from a simple blog to a robust portfolio. Here’s an example of a portfolio layout. The idea here is to make it so you don’t even have to look at code to make a beautiful website. Beyond the portfolio layout, Divi comes with 18 layouts total that you can then build on top of to create a custom site. Each layout is responsive and can be customized using Divi modules. The sky’s the limit here, folks. The Lilith theme by Bluxart is a true visual feast. It’s responsive, flat, and looks super creative. Though it can be used for an agency or blog site, it’s also completely perfect for a portfolio. Select from grid, masonry, striped, or wall layouts to best suit your purposes. This theme includes a page builder, theme options, Revolution slider, and plenty of short codes to streamline development. Lilith is built on Boostrap 3.0 and includes WooCommerce and WPML Multi Language Plugin support. Akin by Bitfade is a minimalist theme that includes a parallax header and Ajax portfolio so you can build a stylish site that best highlights your past work and services. The typography is stylish, the layout simple. And you can use the built-in page builder to achieve precisely the look you want. Akin will cost you $43 but the smooth hover effects and one page simplicity might just be enough to win you over. Another Elegant Themes selection, Origin was designed with portfolios in mind. And call me biased, but I think it’s pretty beautiful. 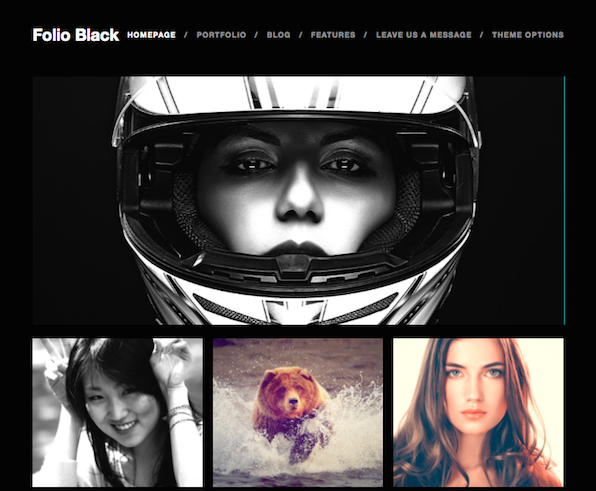 Sporting a grid layout, this theme lets you put your best work on display in a big way. It’s responsive and super customizable. Included page templates let you build feature-rich pages without having to dig into code. Beyond a portfolio, you can also build a contact page, a gallery, a blog feed, a sitemap, and more. If you’ve ever thought the barrier to building a portfolio on WordPress was too high, I hope after reading this article you’re changing your tune. WordPress makes it so easy to build a portfolio, it’s not even funny. And I’m not just talking about cobbling together some rinky-dink layout, either. I’m talking a full-featured, aesthetically pleasing experience that works hard to sell potential clients on your work and on your services. From defining your goals to selecting from plugin and theme-based solutions, you should now have a thorough understanding of how to build a portfolio that’ll serve you and your business well. But now I’m curious: did I miss anything? Is there a plugin or theme that you just can’t live without? Please share your ideas in the comments below! I just discovered Go Portfolio (included in your list) and found that it not only allows for filters, but videos can be played in a lightbox without leaving the portfolio page you can also include a link to each video’s page, where a text description and other information can be provided). Do any of the other filterable options you mention include a “play in lightbox” option for videos, perhaps also including the option to add a text description under the video? Nick, please make Extra to be compatible with buddypress. I LOVE Divi so much I switched my own website design theme in May, and since then my quote enquiries have resulted in a 100% conversion to client! Can’t wait for the Monarch social sharing plugin too!! This is perfect timing Brenda! I just started a freelance writing business and I’m building my portfolio. I had no idea that it could get this complex. Thanks for another awesome post! Very interesting read. 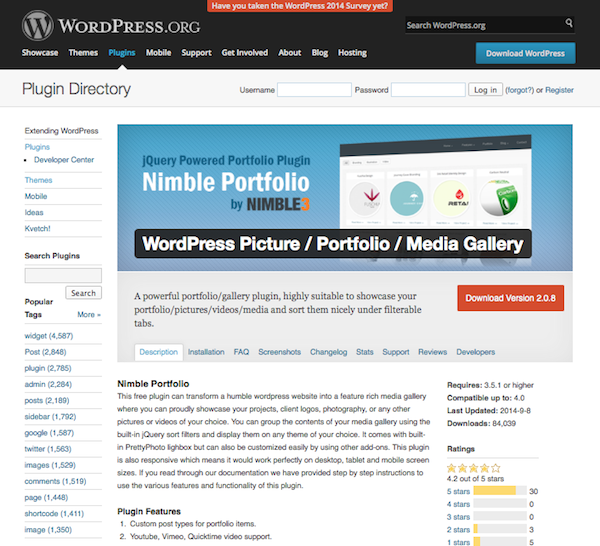 As a photographer I find there is a huge hole in the wordpress community for descent portfolio plugins. Especially for displaying portfolio items in a custom order – as photographers like to do with their work. I’ve managed to get around this by using NextGen Gallery combined with my own custom CSS to create a descent sortable gallery, and place them in ET tabs, which gives users the ability to navigate through portfolio categories without leaving the page. 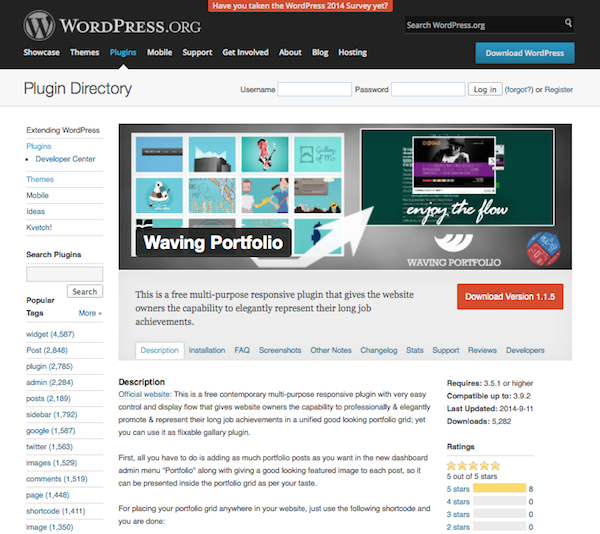 Thanks for share a valuable information of portfolio plugins. 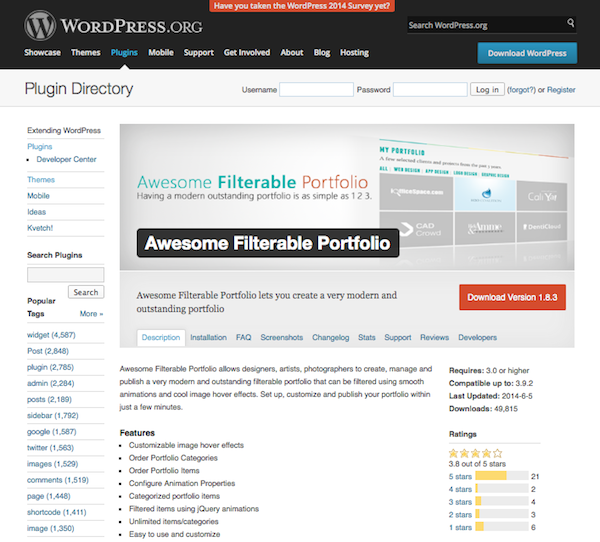 Before a one month ago I search many plugins for filterable portfolio ( in shortcodes), but didn’t find any genuine plugin that work fine in latest WordPress version. Pretty long post with great information. Learning more about portfolio is good. Wow,this is awesome.You provides such a beautiful pieces of designs. having completed profile and portfolio sites for client I wanted to pass on some insights I have gained. The major one to remember is that the people looking at your client’s site are recruiters and they generally do not want to spend more time than they need to in reviewing a potential candidate. This means as a designer you have to make sure the navigation is quick and simple and they can get to the information they want easily. I have found that the Divi theme works very well by creating a one page site with a sidebar navigation linked to the different sections. Use the Divi portfolio module so they quikcky filter and can click through to the projects which you will have created on separate pages..
btw keep up the good work … I love the blogs.. I always read your posts. They are clear and helpful, and I would like to thank you for your shared insights. I have two problems. I’m a DIVI fan. Therefore I followed your suggestion to use DIVI to create a good portfolio. Your link http://elegantthemes.com/preview/Divi/centered-logo-dark/ display a beautiful layout, but I’m not able to find this layout within the DIVI templates. Could you or someone else give me advise. The second problem appeared with Auto Grid Responsive Gallery. It leads to Envato which is absolutely confusing. I had tried a bunch of free plugins and editing my own portfolio. The Go Portfolio is exactly what I wanted. Should have come here first! Thanks! I couldn’t agree more!! It amazes me that so many people undermine the power of e-portfolios. Personally, I’ve found great success in using Portfolium. (https://portfolium.com) It allows you to visually showcase your work in an organized and beautiful way. I brought it into my last job interview using my iPad. The interviewers (aka my current employers) were very impressed! Anyone knows divi can combine with behance api ? I want to use divi theme to showcase my portfolio, it takes time if I have to repost my portfolio on behance to my own site. 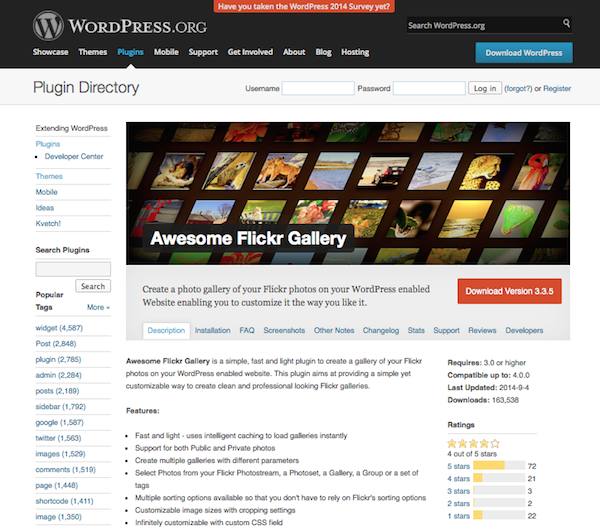 I saw on codecanyon, someone sell plugin behance for wordpress. is it support with divi theme if I buy that plugin. I don’t want to restyle again. because I am not expert for HTML and CSS. Thank you so much for this post: I’ve been searching high and low for this information! Divi is the most powerful theme I have eve seen. Thanks to eleganttheme for giving us that type of work.